The family & I were rockin in the garage this weekend. My wife & I were painting some boards for our porch wall and the kids were riding bikes & begging the adults to stop being so boring. We had the music cranked, so we weren’t anticipating what came next. 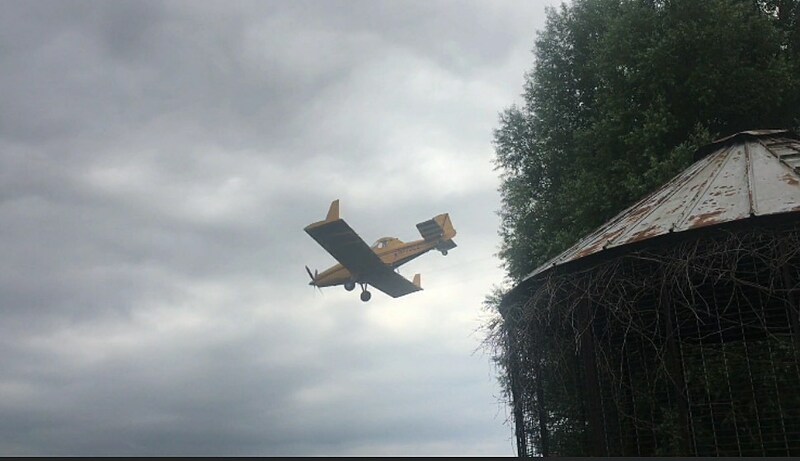 A cropduster buzzed our garage! 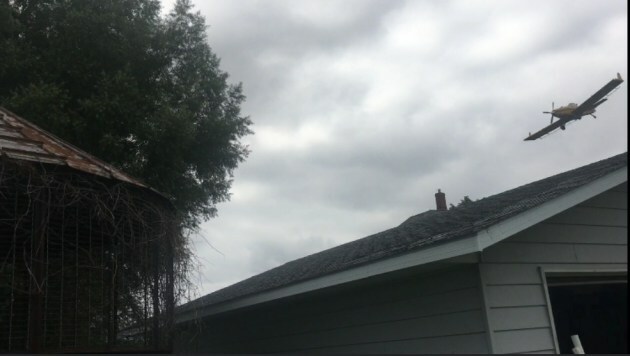 I literally ducked as if that was going to help at all if we really were getting a new roof ornament. 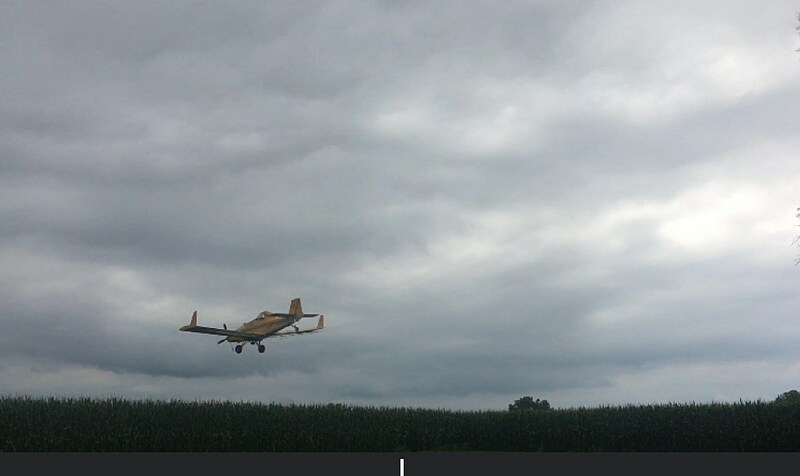 I don’t know what it takes to become a crop dusting airplane pilot…but I know I don’t have it. 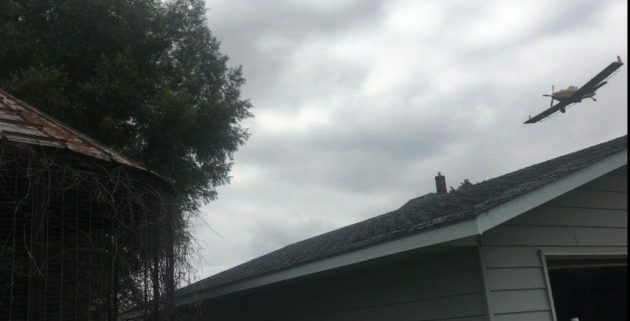 These guys have some incredible skill to be going up & over wires….the near misses of the houses & barns have to make the blood pressure skyrocket. No VO was getting done whether I wanted to or not, but we appreciated the show!